Many boats with "contemporary" styling, particularly those from Europe, tend to look amorphous, so it&apos;s refreshing to see a new design with truly clean and elegant lines. Jeanneau&apos;s latest addition to its long-lived Sun Odyssey line, drawn by Marc Lombard and Eric Levet, is just such a boat. The Sun Odyssey 35 demonstrates clearly that Jeanneau has not lost its identity since being acquired by former rival Beneteau. In addition to its striking appearance, the boat benefits from Jeanneau&apos;s long adherence to simple and solid hull-construction techniques (hand-laminated solid-glass hulls well supported by generous stringers and interiors that don&apos;t rely on drop-in pans) as well as its willingness to push the envelope in mass production (the deck is injection-molded via a new patented technology called PRISMA). We were also impressed by the boat&apos;s sailing abilities. It is fleet (over 6 knots in less than 10 knots true wind), nimble, and responsive. The boat handles well under power and is very controllable in reverse. The generous accommodation plan (we sailed a boat with a two-cabin layout) uses some innovative little tricks—both the nav table and the saloon table can be set in multiple positions—to maximize space and flexibility on board. Four opening hatches and four open ports provide excellent light and ventilation. The mechanical and electrical systems are above average for a boat in this price range, with capacities more than adequate for coastal cruising. The flaws we did find—higher-than-average engine noise and vibration, plus some poorly sealed plywood end-grain—were hardly fatal. 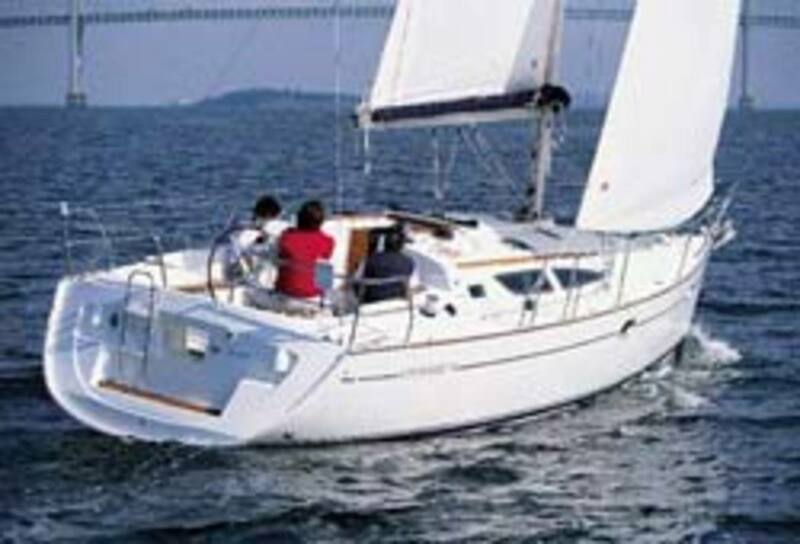 The Sun Odyssey 35, we agreed, represents very good value in a mass-produced boat. Price: $99,900 (base, FOB Annapolis, MD) includes semi-full-batten mainsail and roller-furling genoa, 2-burner propane stove with oven, refrigerator, and pressure water. Construction: Solid hand-laid glass hull with vinylester resin in exterior lamination layers and polyester resin in internal layers. Solid injection-molded fiberglass deck.